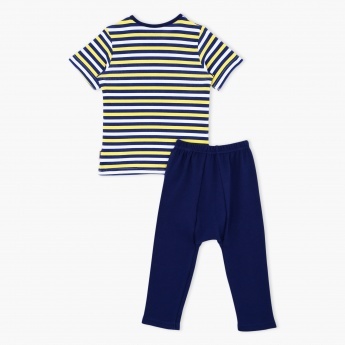 Let your kid sleep snug and look smart wearing this lovely pyjama set. Adorned with stripes, the tee has short sleeves and the round neck. Easy to wear, this pyjamas have an elasticised waistband.